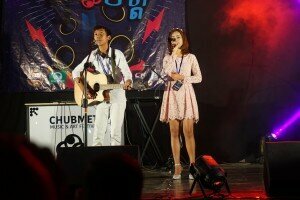 On February 24th winner Phoch Sreyrath and finalist Sidet Shophady of the – Civil Peace Service Program of Deutsche Gesellschaft für Internationale Zusammenarbeit (GIZ) GmbH supported – song contest were on stage at the “Chubmet festival” in Siem Reap, to present two remembrance Songs, created as from young artists to the surviving generation of Khmer Rouge. The Song Contest and final concert celebrated in December 2016 in Phnom Penh had attracted 400 young and old mixed audience (https://www.facebook.com/Remembrance2016/?fref=ts). The project is part of the dealing with the past and peace education program of the Youth Resource Development Program (YRDP), one of the Civil Peace Service partner organizations in Cambodia. 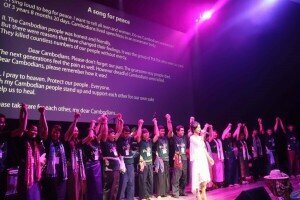 The social media campaign flanked contest has attracted thousands of youth to reflect on Khmer Rouge History and opened up the opportunity to participate in Cambodia’s process of reconciliation, by writing and composing songs of remembrance to the surviving generation. The project applies at the Extraordinary Chambers in the Courts of Cambodia (ECCC) to become a reparation in Case 002/02. An important element of the project is to promote remembrance songs nationwide and across Cambodian borders. For this, the concert has been live broadcasted on radio, the songs have been studio recorded and the winner is now on tour. After Siem Reap in February the next tour stop will be Myanmar, where Sreyrath will perform her song to a young audience. 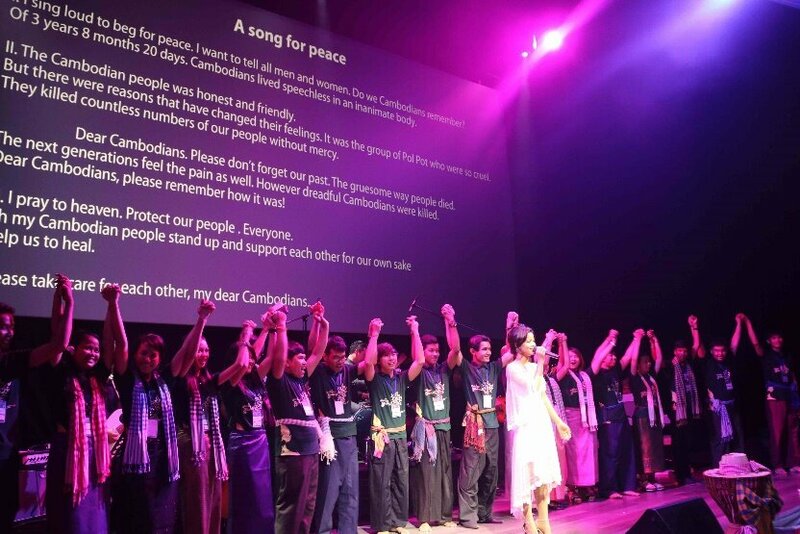 The recorded songs will be distributed and further promoted to be part of events, educational programs to inspire youth to seek for integrational dialogue, reflecting on the past and advocating among generations to take active part in Cambodia’s process of reconciliation.